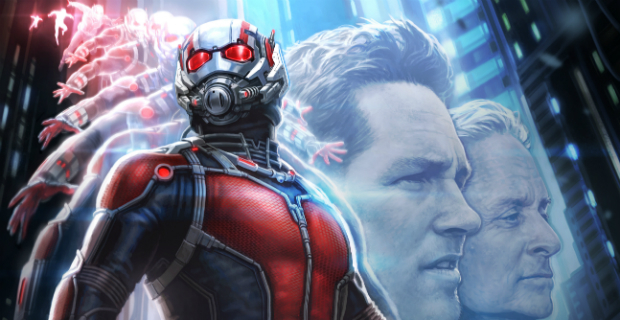 See Paul Rudd as ANT-MAN! And the New Poster! 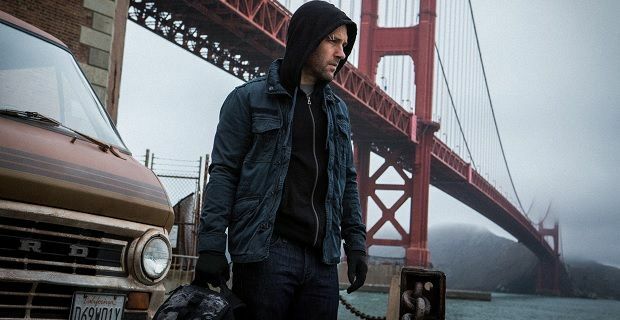 Our first look at Marvel Studios’ ‘Ant-Man’ came in the form of an ant-sized trailer. Literally. Did you catch any of that? Well here is the “Human-Size” version. Okay, so it’s a teaser for a teaser trailer. The full trailer comes out tonight during Marvel’s new show ‘Agent Carter’, with another ‘Avengers: Age Of Ultron’ trailer following later this week on Disney owned ESPN. 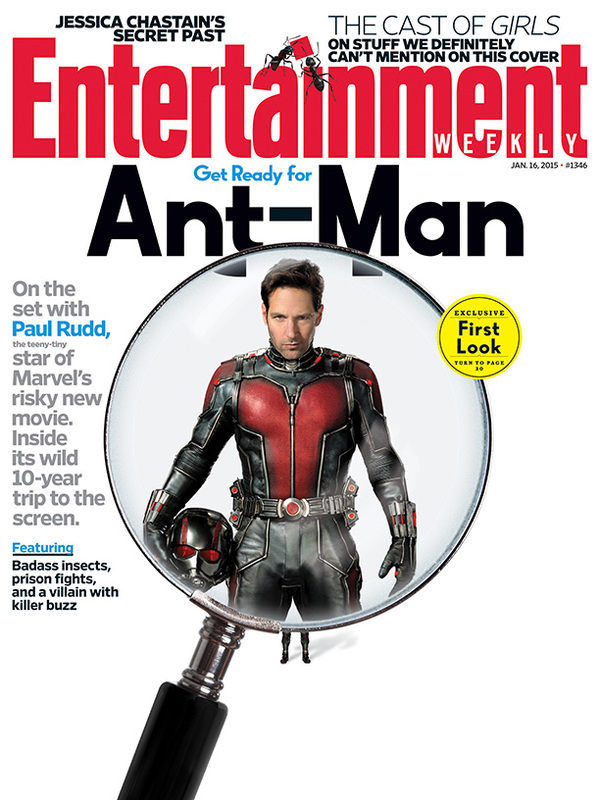 While we wait, we have our first look at Paul Rudd in his Ant-Man getup, courtesy of ‘Entertainment Weekly.’ Though we saw his feet running in his fancy new boots in the teaser for a teaser, this is our first real look at the entire suit. Probably not, but their Ant-sized marketing thus far has been clever and buzz worthy. Speaking of which, check out the first poster below. Again, look for something very tiny. The next evolution of the Marvel Cinematic Universe brings a founding member of The Avengers to the big screen for the first time with Marvel Studios’ “Ant-Man.” Armed with the astonishing ability to shrink in scale but increase in strength, master thief Scott Lang (Paul Rudd) must embrace his inner-hero and help his mentor, Dr. Hank Pym (Michael Douglas), protect the secret behind his spectacular Ant-Man suit from a new generation of towering threats. Against seemingly insurmountable obstacles, Pym and Lang must plan and pull off a heist that will save the world. ‘Ant-Man’ follows May’s release of ‘Avengers: Age of Ultron’ with some Paul Rudd action on July 17th. Also fantastic… like the other great Marvel films before it, ‘Ant-Man’ has a unique genre not yet explored by the MCU. ‘Captain America: Winter Soldier’ was a thriller, ‘Guardians of the Galaxy’ was a space opera, and now ‘Ant-Man’ is a heist film. And 2016’s ‘Dr. Strange’ starring Benedict Cumberbatch promises something completely different. 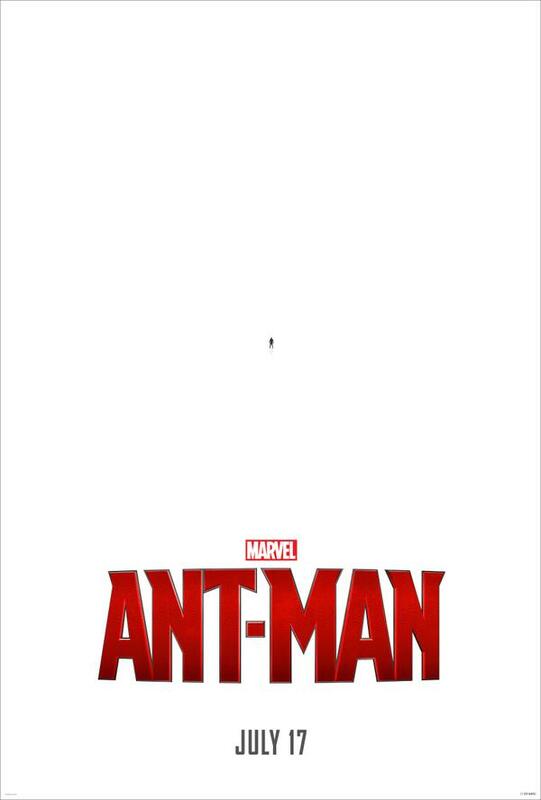 Even with only a teaser for a teaser trailer and a nearly blank poster,’Ant-Man’ joins the list of most anticipated films in this year of our Lord, Stan Lee, 2015.